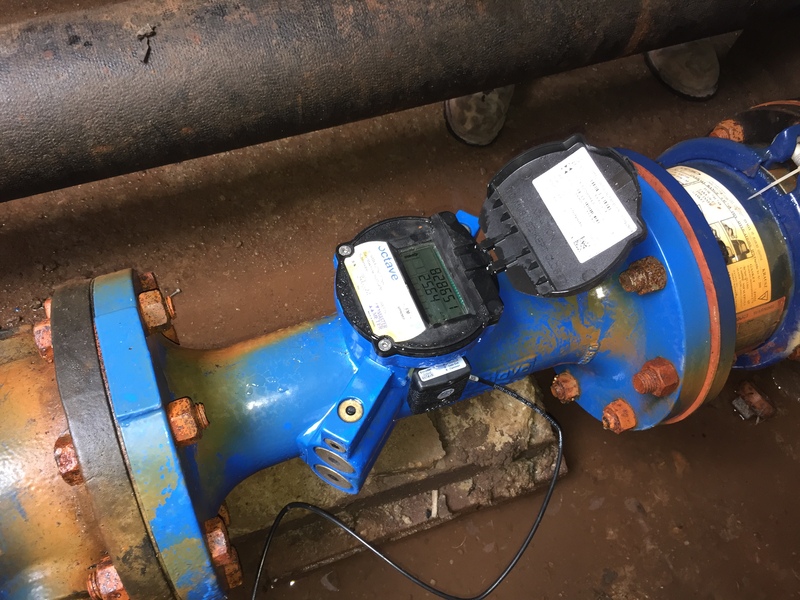 The Boone IA Firmware is a customized EtherMeter firmware that was created to provide a simple solution to a customer who desired zoned leak detection. 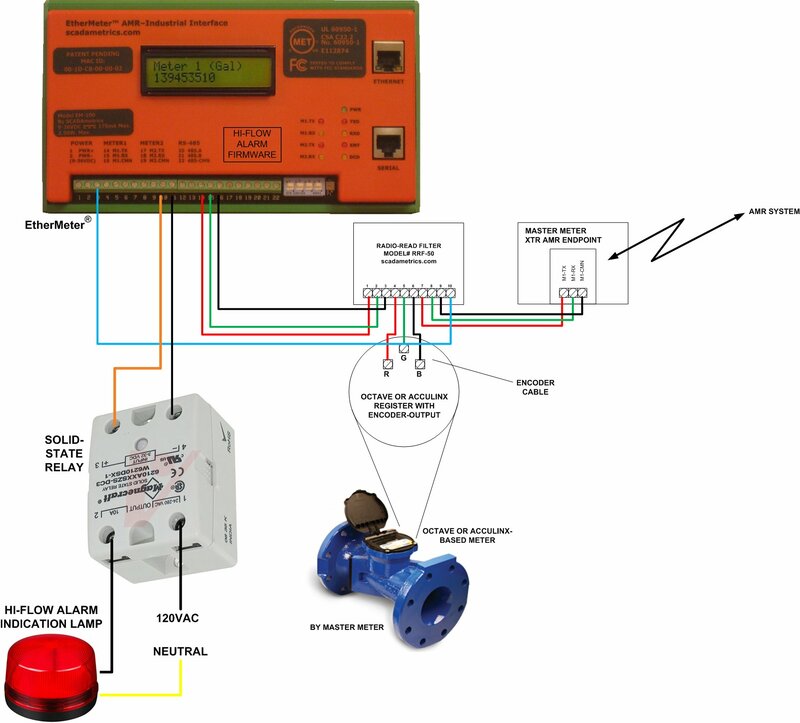 This EtherMeter version, which is now offered as an option at our eStore, signals an alarm annunciator when higher-than-normal flows are detected from a connected flow meter. In this project, the custody-transfer meter was an Octave Ultrasonic Meter by Master Meter, which features a high-resolution, absolute encoder signal output. By handling the rate-of-flow calculation, and high-flow alarm detection logic within the EtherMeter, there is no need for an external setpoint controller or PLC, thereby reducing costs and wiring complexity. It is noteworthy that the EtherMeter can discern flow rate from most meter makes/models, including those with encoder-type and/or pulse-type signals. Essentially, in this application, the EtherMeter functions as a programmable flow switch, in which the user sets the flow-threshold. When FLOW1 is below the ALARM1 threshold (GPM), then the AUX1 output is low (0V). When FLOW1 exceeds the ALARM1 threshold (GPM), then the AUX1 goes high (+5V). When FLOW2 is below the ALARM2 threshold (GPM), then the AUX2 output is low (0V). When FLOW2 exceeds the ALARM2 threshold (GPM), then the AUX2 goes high (+5V). In the above schematic, the EtherMeter is used to signal a high-flow alarm lamp. The flow meter is an Octave ultrasonic by Master Meter. The meter is co-connected to a radio-based AMR system via an RRF-50 Radio-Read Filter. Enclosure with EtherMeter, Radio-Read Filter, and Alarm Lamp. If the Rate-of-Flow Exceeds the Programmable Setpoint, the Alarm Lamp Lights Up. a Concurrent Read to the City’s Drive-By Radio-Read System. Octave – Ultrasonic Custody Transfer Meter (by Master Meter), Installed in Concrete Vault. Are you interested?… or perhaps you have a similar application? Don’t hesitate to call. 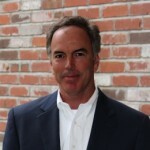 We’ll be glad to discuss the solution in more detail. 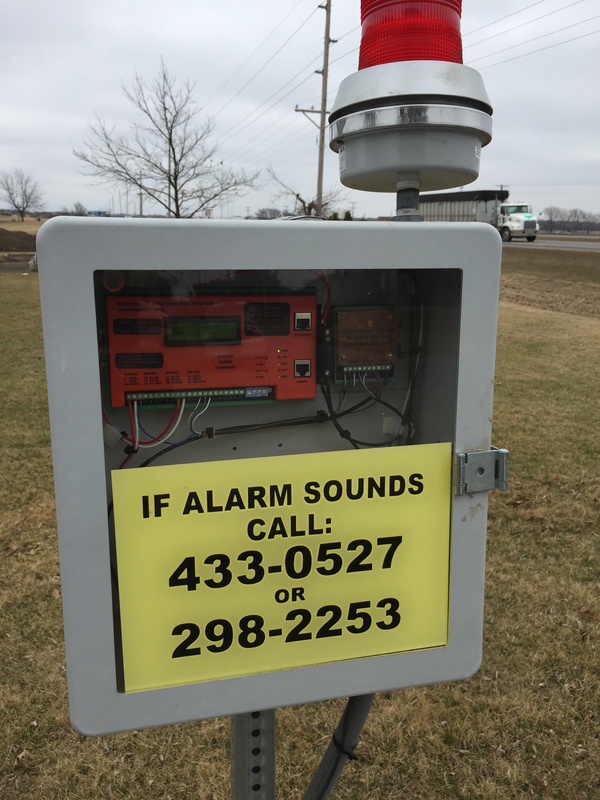 What will happen if the alarm sounds? 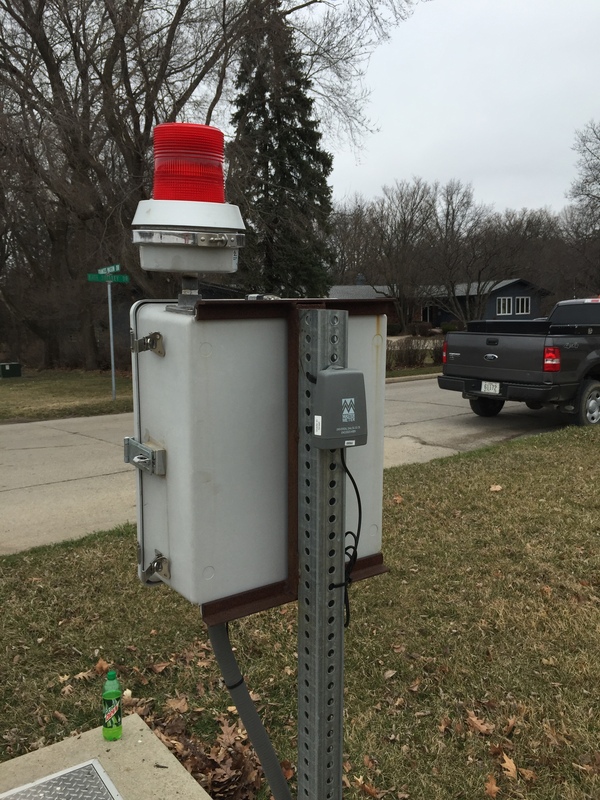 City personnel are alerted to the leak condition by a red alarm indication lamp.